A North Carolina man has been charged with attempting to provide material support to the Islamic State of Iraq and the Levant (ISIL), a designated foreign terrorist organization, and related offenses, announced Assistant Attorney General for National Security John P. Carlin, U.S. Attorney Jill Westmoreland Rose of the Western District of North Carolina and Special Agent in Charge John A. Strong of the FBI’s Charlotte, North Carolina, Division. The seven-count indictment was unsealed in federal court today, charging Justin Nojan Sullivan, 19, of Morganton, North Carolina, with attempting to provide material support to ISIL; receipt of a silencer in interstate commerce with intent to commit a felony; receipt and possession of an unregistered firearm; concealment and storage of a stolen firearm; use of interstate facilities in the attempted commission of a murder-for-hire; and two counts of making false statements to FBI agents. According to allegations contained in the indictment and information in related court filings, starting no later than September 2014, Sullivan watched violent ISIL attacks on the Internet, such as beheadings, after converting to Islam. The indictment alleges that Sullivan openly expressed support for ISIL in his home and destroyed religious items that belonged to his parents. 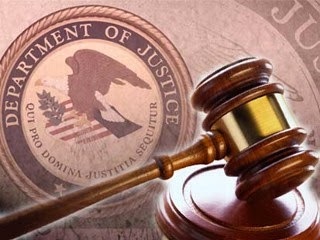 The indictment also alleges that beginning no later than June 6, 2015, Sullivan attempted to provide material support to ISIL by planning terrorists attacks and discussed those plans on social media with an undercover FBI employee (UCE), who Sullivan attempted to recruit to join in such attacks. As alleged in the federal indictment, Sullivan told the UCE via social media that it was better to remain in the United States to support ISIL than to travel. Sullivan suggested that the UCE obtain weapons and told the UCE that he was planning to buy a semi-automatic AR-15 rifle at an upcoming gun show in Hickory, North Carolina. On or about June 20, 2015, Sullivan attempted to purchase hollow point ammunition to be used with the weapon(s) he intended to purchase. The indictment alleges that Sullivan had researched on the Internet how to manufacture firearm silencers and asked the UCE to build functional silencers that they could use to carry out the planned attacks. The indictment further alleges that Sullivan told the UCE he planned to carry out his attack in the following few days at a concert, bar or club, where he believed as many as 1,000 people would be killed using the assault rifle and silencer. According to allegations in the indictment, on or about June 19, 2015, the silencer, which was built according to Sullivan’s instructions, was delivered to him at his home in North Carolina, where Sullivan’s mother opened the package. The indictment alleges that Sullivan took the silencer from his mother and hid it in a crawl space under his house. When Sullivan’s parents questioned him about the silencer, Sullivan, believing that his parents would interfere with his plans to carry out an attack, offered to compensate the UCE to kill them. On June 19, 2015, Sullivan was arrested at his parents’ home, where law enforcement also executed a search for the silencer and other items. The indictment alleges that law enforcement interviewed Sullivan on separate occasions and that Sullivan made false statements pertaining to the weapons in his possession and his involvement in the murder of his neighbor, John Bailey Clark, 74. In particular, according to the indictment, Sullivan was asked on June 19, 2015, if he had a rifle, to which he answered no. However, the FBI’s search found a .22 rifle, a black ski mask and a lock pick kit hidden in the crawl space with the silencer. The indictment alleges that on June 20, 2015, Sullivan admitted that he had stolen the rifle from his father’s gun cabinet and hid it in the crawl space. Forensic testing shows that the .22 rifle hidden by Sullivan was used to murder Clark. The District Attorney’s Office for North Carolina’s 25th Prosecutorial District, which includes Burke, Caldwell and Catawba Counties, is handling North Carolina’s prosecution of Sullivan for Clark’s murder. Sullivan is currently in federal custody and has waived arrangement on the federal charges. Trial is set for Feb. 22, 2016, before U.S. District Judge Martin Reidinger of the Western District of North Carolina. The charge of attempting to provide material support to a designated foreign organization carries a maximum potential penalty of 20 years in prison and a $250,000 fine. The charge of receiving a silencer in interstate commerce with intent to commit a felony carries a maximum potential penalty of 10 years in prison and a fine of $250,000. The charge of receipt and possession of an unregistered firearm carries a maximum potential penalty of 10 years in prison and a fine of $10,000. The charge of possession, concealment and storage of a stolen firearm carries a maximum prison term of 10 years and a $250,000 fine. The charge of using interstate facilities in the attempted commission of a murder-for-hire carries a maximum prison term of 10 years in prison and a $250,000 fine. Each count of making a false statement to an agency of the United States carries a maximum prison term of up to eight years in prison and a $250,000 fine. In making today’s announcement, Assistant Attorney General Carlin and U.S. Attorney Rose thanked District Attorney David Learner for his office’s continued assistance and coordination. Both also praised the investigative efforts of the FBI, the Burke County Sheriff’s Office and the North Carolina State Bureau of Investigation in this case. Assistant Attorney General Carlin and U.S. Attorney Rose also thanked the U.S. Postal Inspection Service’s Charlotte Division, the U.S. Secret Service, the North Carolina Highway Patrol and the Hickory Police Department for their assistance in this investigation. The case is being prosecuted by Assistant U.S. Attorney Michael E. Savage of the Western District of North Carolina and Trial Attorney Gregory Gonzalez of the National Security Division’s Counterterrorism section.